With more tax breaks for production companies, more US films will be shot in regional centers, which may defined as any city or town other than Los Angeles or New York. If you have read here for a while, you will know that I recommend coming to work in Los Angeles, if you want to build a career to the highest levels of film or TV. If you can arrive with a few real credits on your résumé, you will be a better position. You might start by working at your local TV network or public television affiliate, or you might look for movies shooting near you. I did that at first. A note on International filmmaking – much of the advice I give would apply to the careers of people living in other countries. Most countries have their own film industry. Some welcome US productions to their cities. I trust that you are able to translate the advice to work in your local film industry as appropriate. US people hoping to work in Canadian filmmaking – you will have to be established and eminent before you will be allowed to work there. A lot of the long form tv, many cable series, and some features are shot there, but they have very professional, long established communities of film workers in Vancouver, Toronto and Montreal. You might consider those cities to be analogs of LA/NY, and apply the advice about regional work if you live anywhere else in Canada. Here are some tips for finding work in film in regional centers, whether you want to leave eventually, or plan on staying in your own town happily working as projects come along. There are essentially two types of project that will shoot outside of Los Angeles or New York. The first type is a true local project. The writers might be local, telling a story inspired by local events or history. Most of the department heads and pretty much the entire crew will be sourced from local workers. If it is a feature film it will generally be very much an independent film, often with creatively sourced financing. This is the kind of film that will be festival bound. Often the Director and Producers will be relatively new and inexperienced. The second type of regional film is one that has been developed in Los Angeles, by a Studio or major production company, but is shooting out of town for either financial or creative reasons. The story may be set in your distinctive locality, or the production is set in an “anytown” and your small city has all the required services and locations. 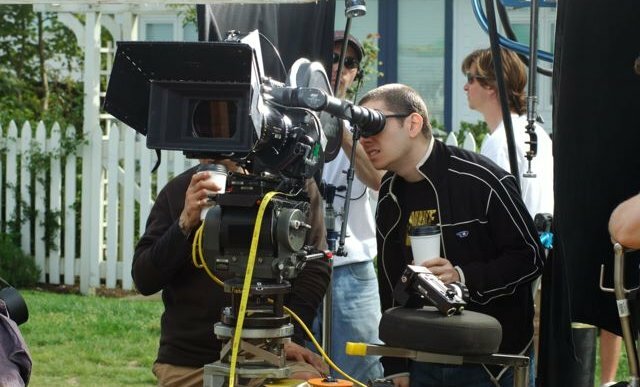 In these projects typically the Director, Producers, Department Heads and Keys will travel in from Los Angeles, or New York, for the duration of the project, but there will be plenty of local hires in all the supporting crew positions. Visitors at the least need accommodations, food, and laundry services, and the Production will rent offices, and utilize all kinds of business services including transportation and utilities. These expenditures are why cities and localities try to attract filming. Locally sourced crews will include art department workers, production assistants, electricians, grips, hair and makeup artists, runners and caterers – pretty much every department. If there are experienced camera operators and boom operators in the area, these people might also be local hires. Local Location Managers are particularly helpful. Especially if there are some known name actors, this is the type of credit that is a definite asset for your résumé. Additionally, you will form relationships with people who might be very helpful contacts for when you do look for work in Los Angeles. Do a good job, and make sure that you hand the relevant Department Heads your updated (with this current show) résumé before they leave. Social media makes the world seem smaller. Have a Facebook page and Twitter account for yourself as a production worker, and create your network of people who work with you on your films. Be sure to keep your posts and status updates professional rather than share personal issues with your professional FB friends. If you must take a selfie with your lunch, make it your lunch from Catering on the film set. Do take selfies at industry events. But be cautious about using a camera phone on the set (unless you are showing work-in-progress shots of set building) because some productions insist on a high level of discretion, even secrecy. However you can post your good news about being hired, post opportunities, and follow film related other pages. It is one way to keep in touch with people in your network even before you come to town yourself. Every State has a film commission. Most companies coming to your area will start at the film commission when looking for crews. Be sure to register with any crew listing service that the FC offers, and attend any networking events they hold near you, even if it means traveling to the State Capital every now and then. Get acquainted with the people who work in the FC office. The local head of the film office is in a great position to recommend people with a word. If there is any kind of local film festival, see if you can volunteer with the organization. This may allow you to meet filmmakers, and be of service in some way. It’s all about being someone familiar when they are looking for a PA next time. Finally, just because you are out of town, doesn’t mean you should forgo subscribing to a production listing service. You will want to learn about productions coming to your local area as early as possible, and do your research about the Keys. You should be ready to make those cold calls, to try and set up an interview as soon as possible when the production office arrives.